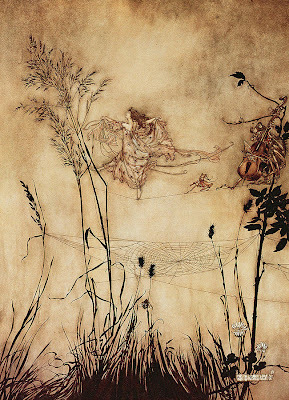 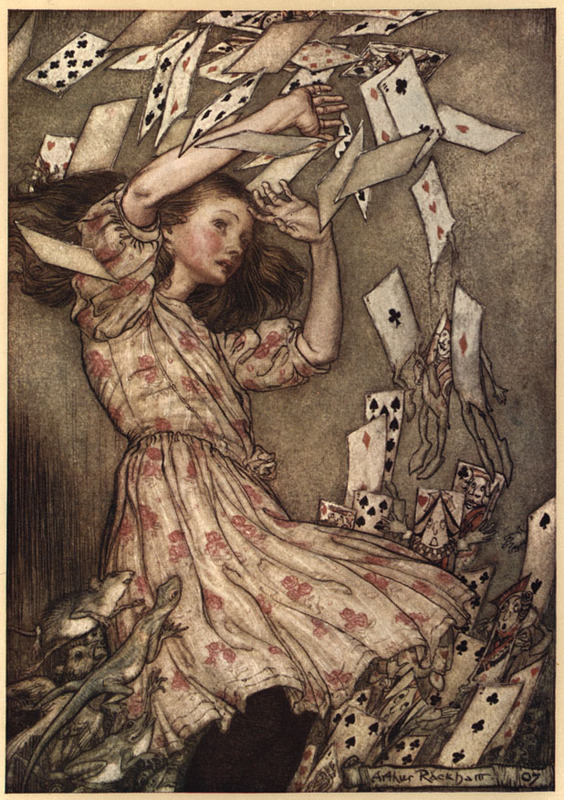 Dark and mysterious the artwork of Arthur Rackham had a profound influence on book illustration at the turn of the 20th century. I especially love how he mixed realism with an ethereal mysticism transporting the viewer to the world of fantasy. 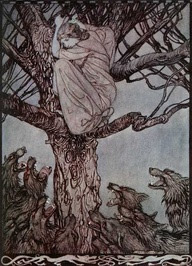 Wolves bare their teeth and bodies are floated off into the air... as if each character is not a solid structure but the spirit of an emotional idea. 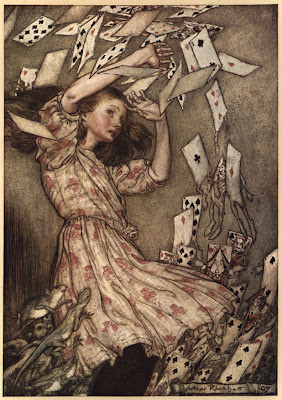 Check out his dynamic renditions of "Alice in Wonderland" and "British Fairy Tales" if you favor creepy depictions of these classic tales.